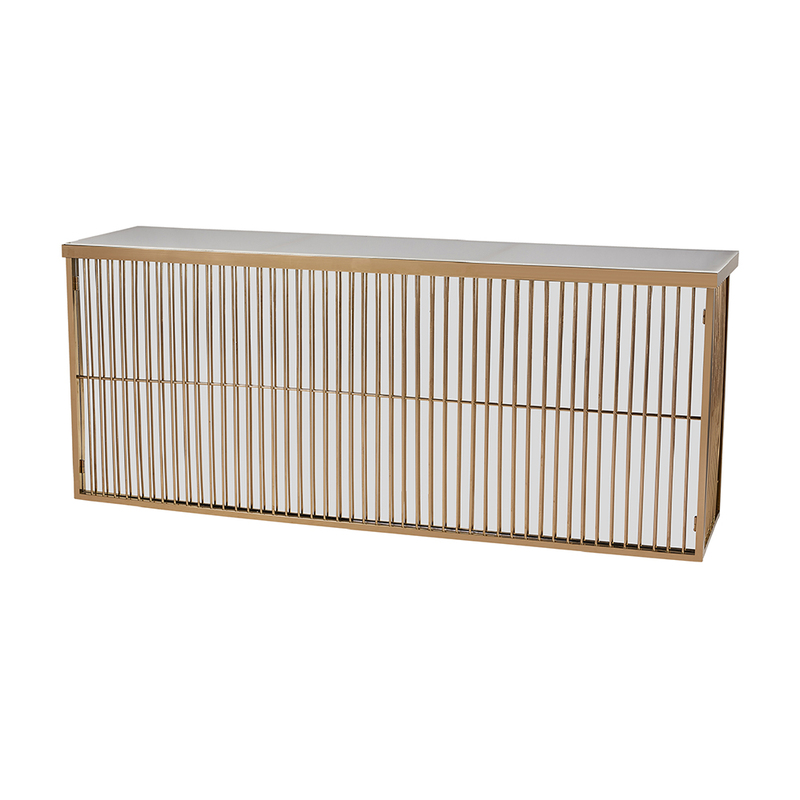 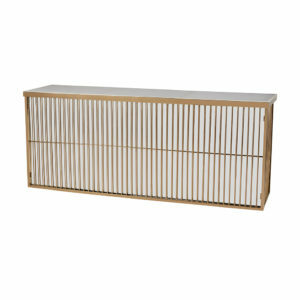 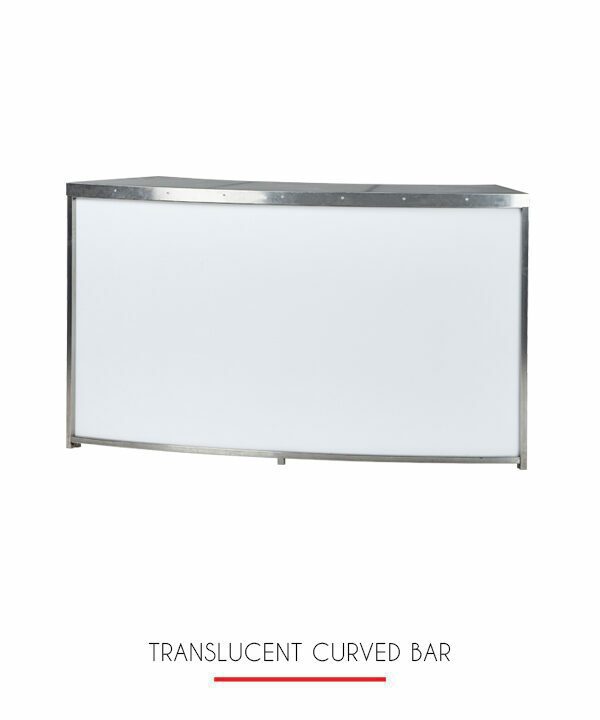 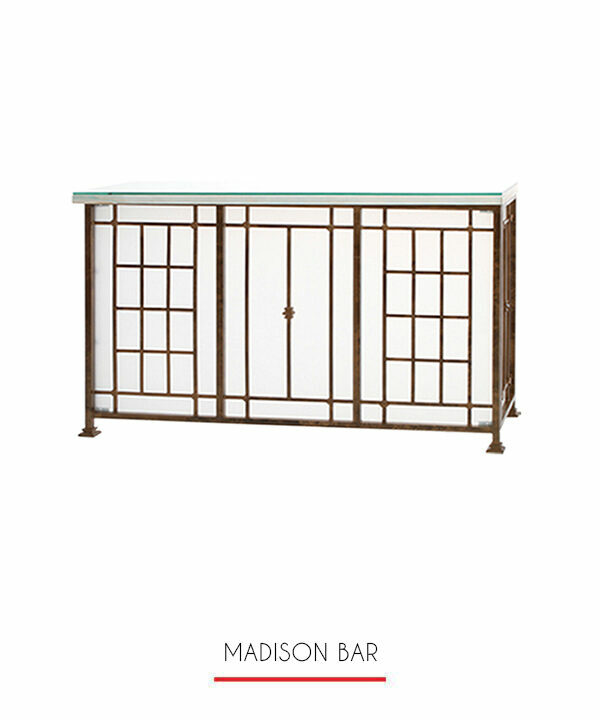 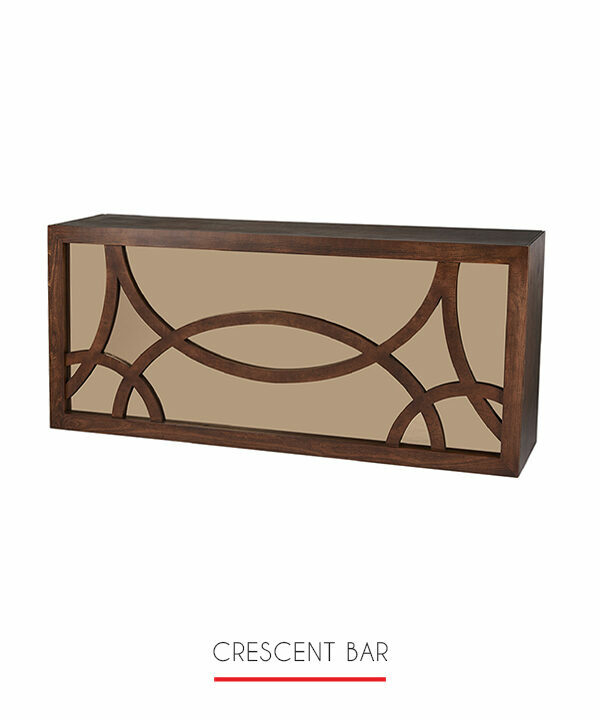 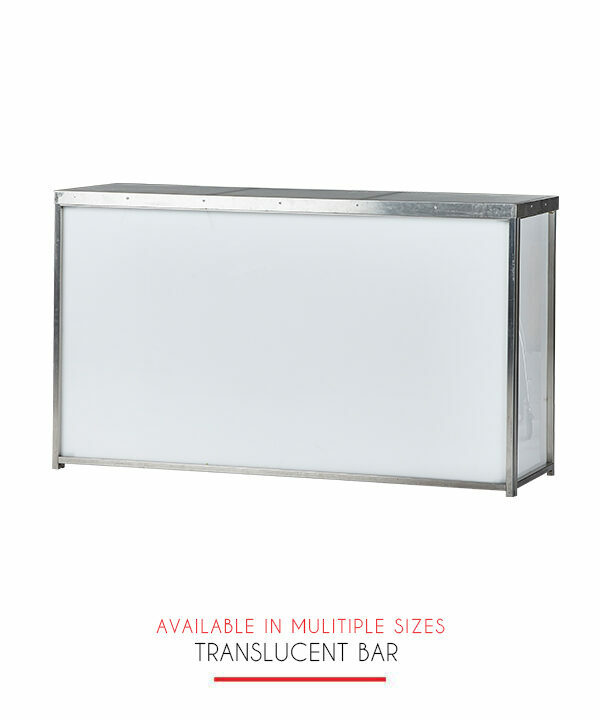 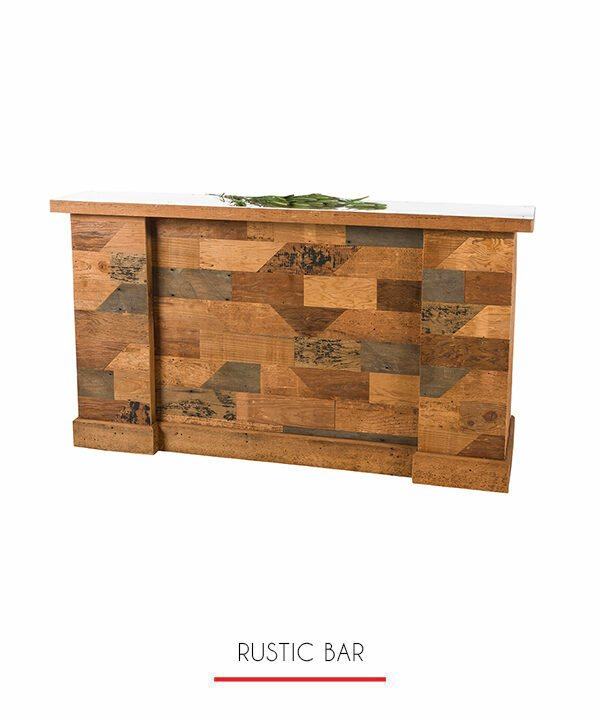 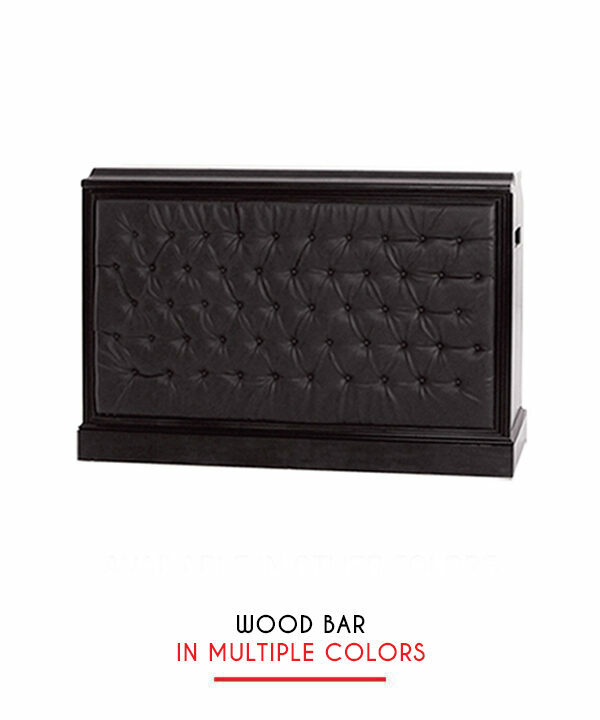 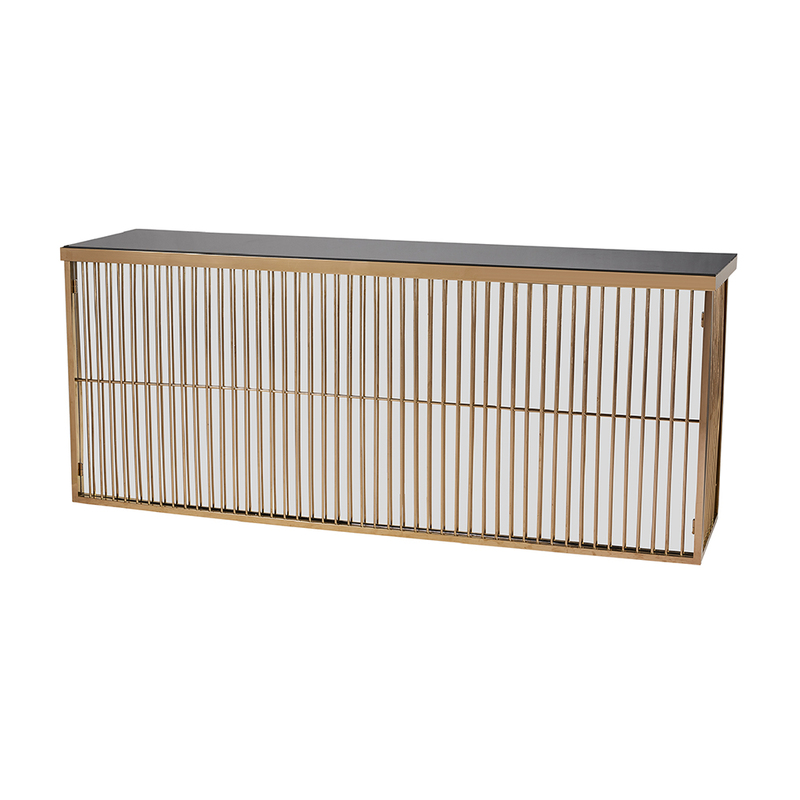 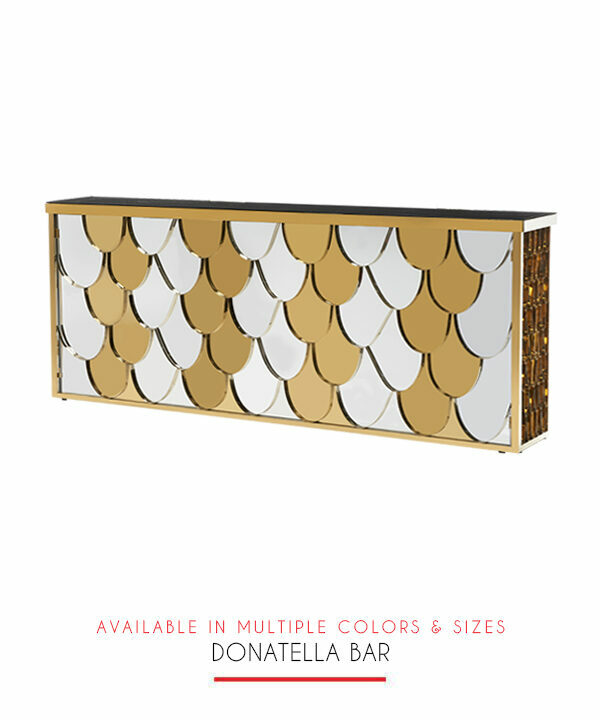 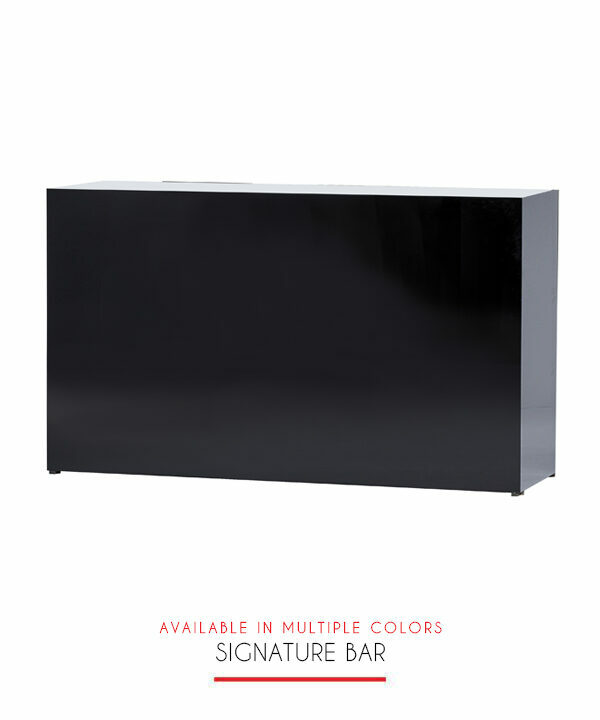 Seize the very popular rose gold trend with this eight-foot or six-foot bar that reveals your chosen accent material whether mirror or plexiglass. 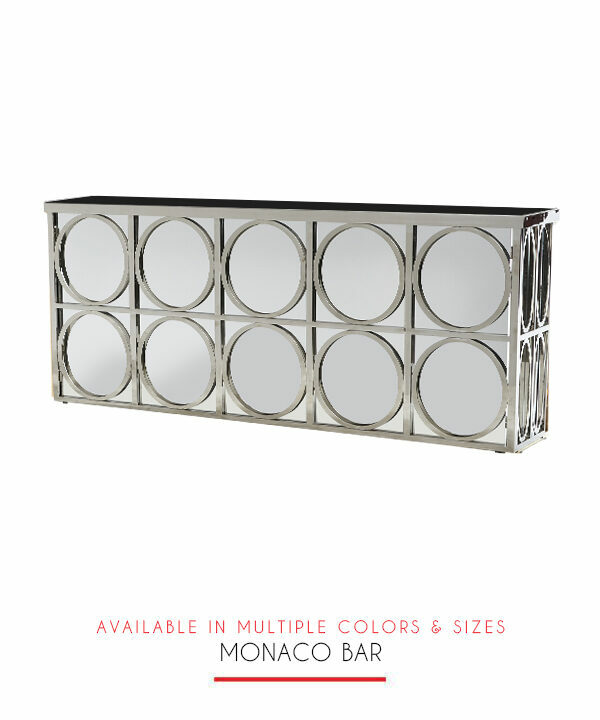 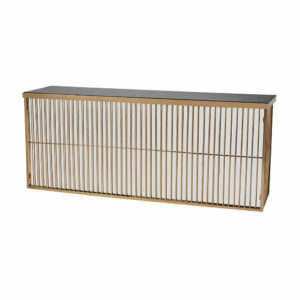 Shown with mirrored back and white or black plexi top. 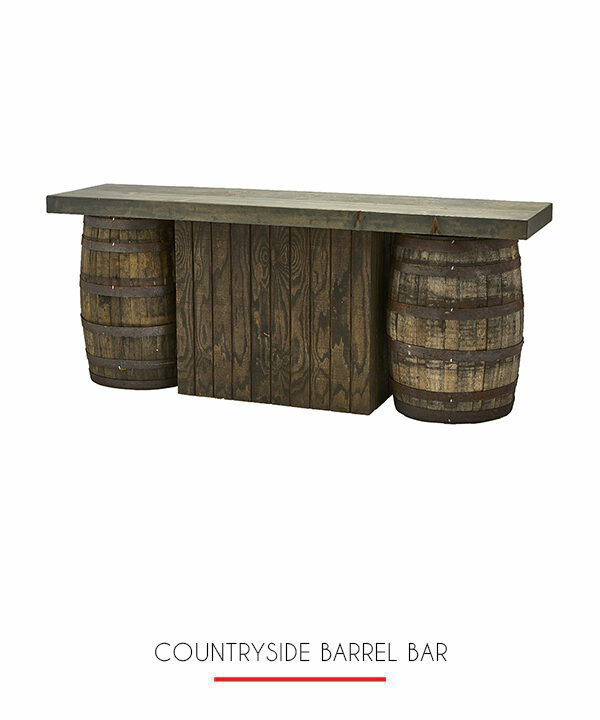 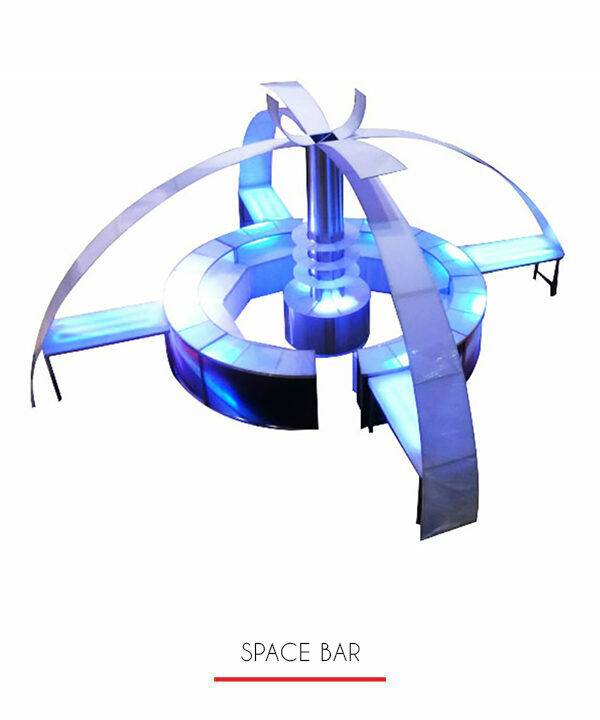 This design will adapt very well to any event theme yet holds its own in style and functionality. 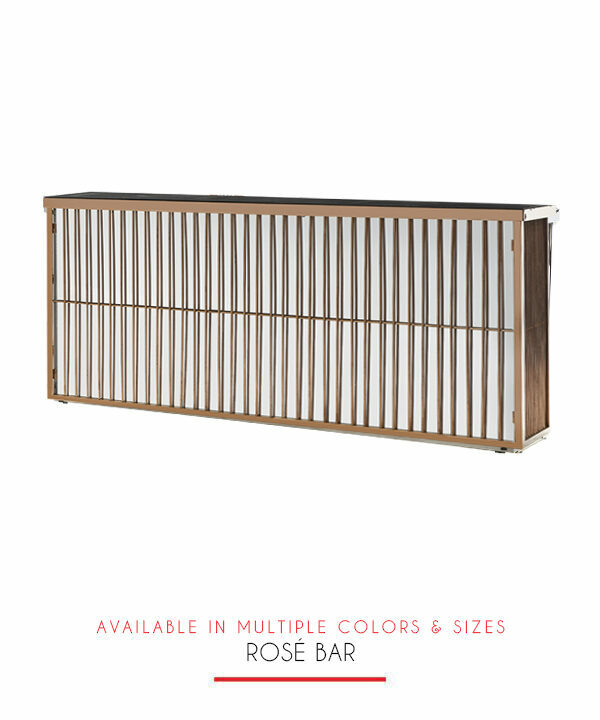 Available in 6 ft. and 8 ft.